Kate Spotted in Moloh on Christmas Day 2014 - What Would Kate Do? A quick post on this Christmas Day to share with you the photos which have been released of Kate and William attending the traditional royal Christmas Day service on the Sandringham estate in Norfolk this morning. Other members of the Royal Family were in attendance, including the Queen, Prince Philip, Prince Harry, Prince Charles, Princesses Eugenie and Beatrice. Kate’s family – Carole, Michael, Pippa and James – were also attending the ceremonies as they are spending Christmas with William and Kate at Anmer Hall in Norfolk. Kate looked perfectly outfitted for the occasion in a brown tweed coat from Moloh, a traditional British brand that she’s worn in the past. 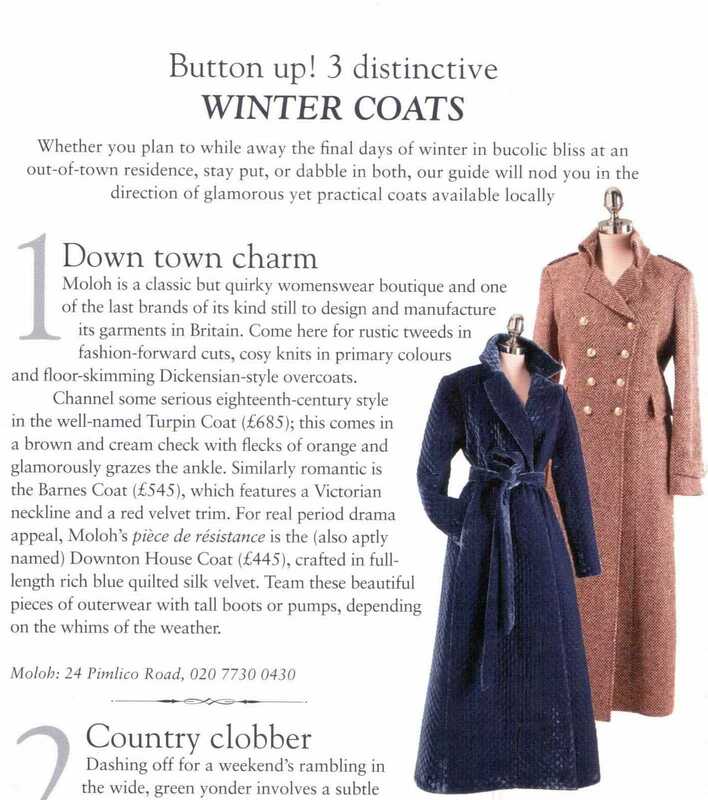 While the coat is new for us Kate watchers, our friend @livelovelaughvr and other eagle-eyed royal-watchers quickly identified it as the Turpin coat from the brand’s 2013 collection. She paired her coat with her ‘Betty Boop’ hat from Lock and Company (previously seen at a wedding in Switzerland and for St. Patrick’s Day in 2012) as well as her ‘Valerie’ heels by Emmy Shoes and Cornelia James ‘Imogen’ gloves. Underneath the coat, she wore her previously seen Hobbs Brown Animal shirt dress. We hope you are all enjoying some quality time with your families and loved ones this holiday season and from the bottom of our hearts with you and yours a very Merry Christmas!